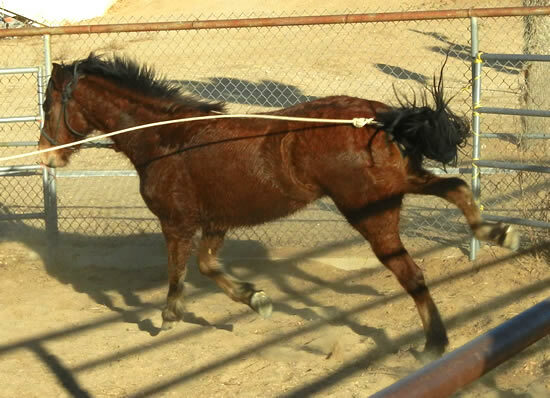 Horses are chosen by hat-draw for each Extreme Mustang Makeover Participant. 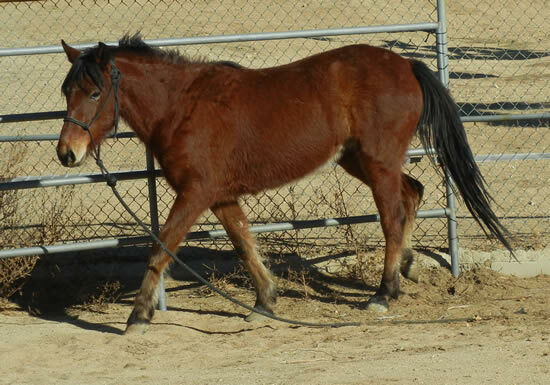 All trainers this year received a mare of approximately 3 years of age. 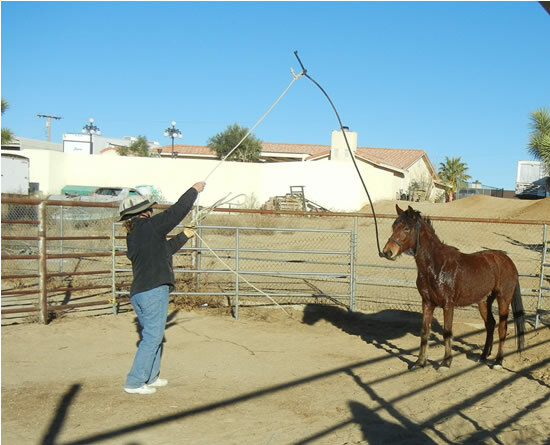 Cindy's draw was a bay with a tiny white star on her forehead. 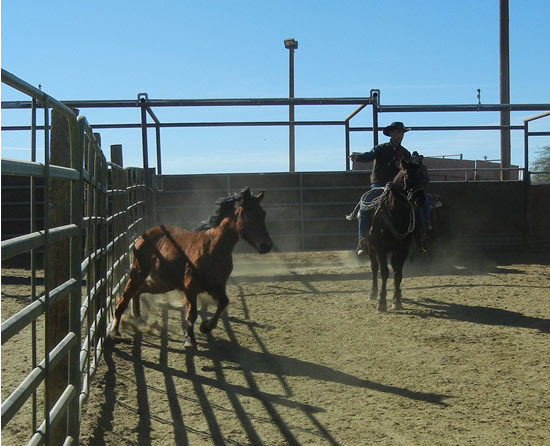 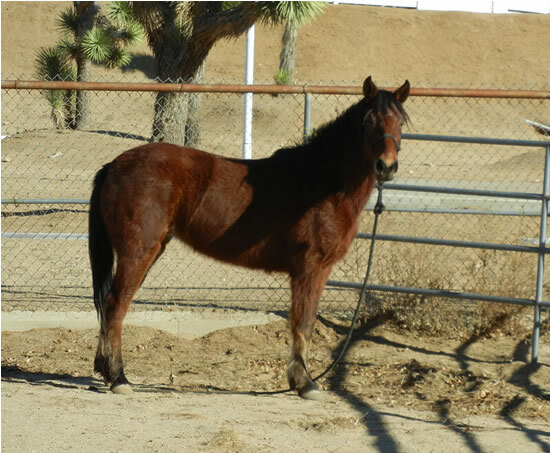 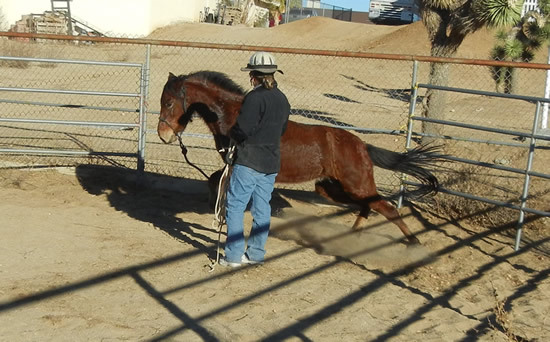 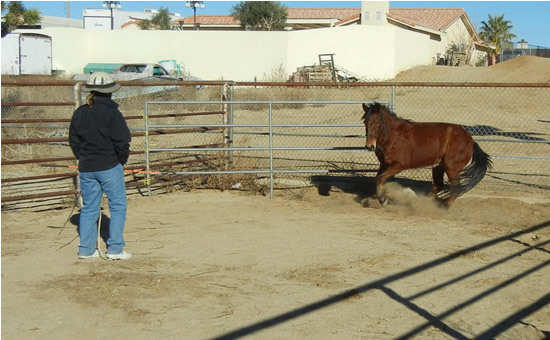 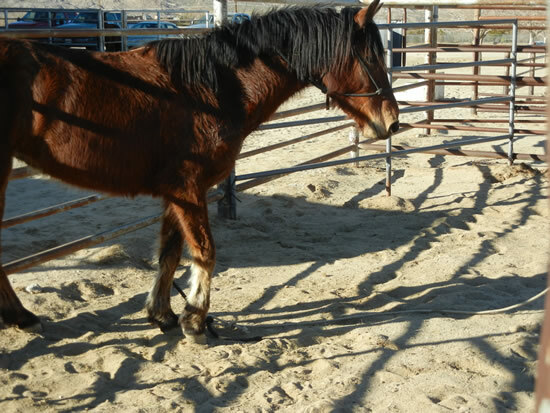 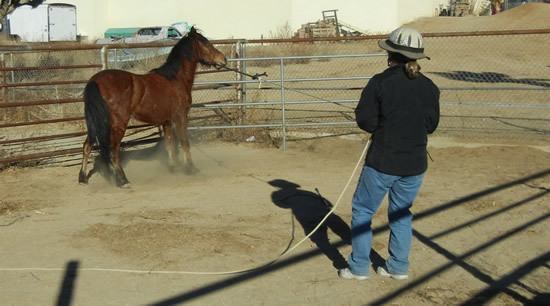 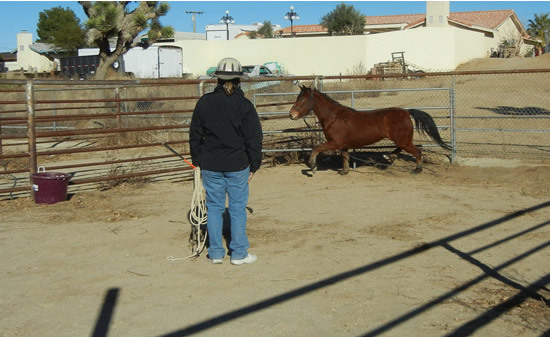 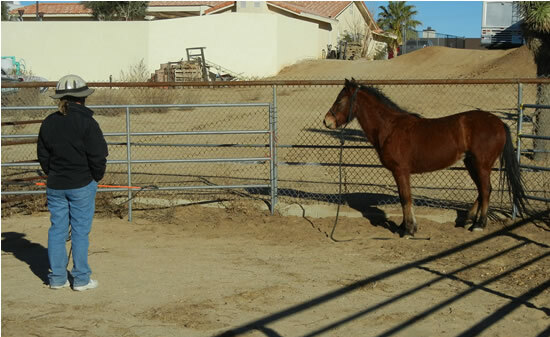 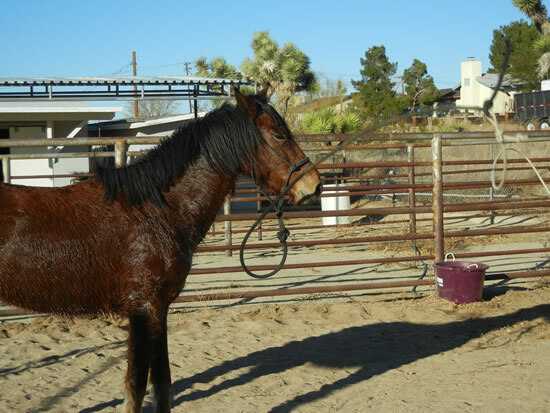 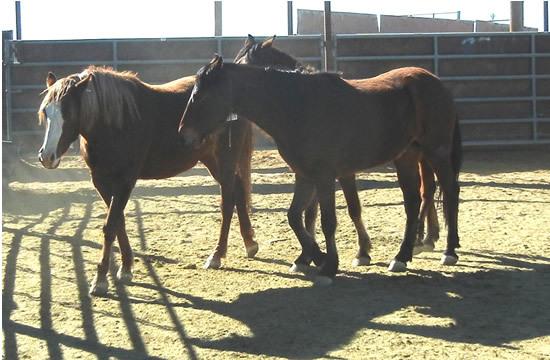 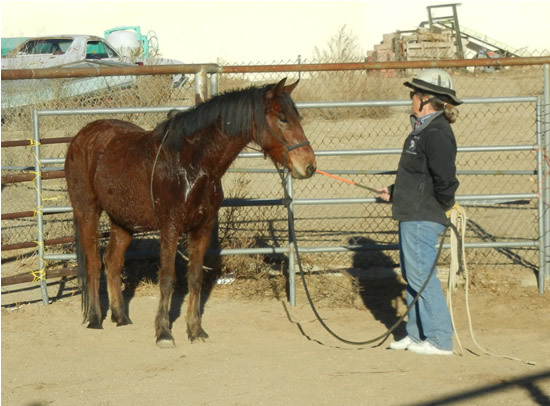 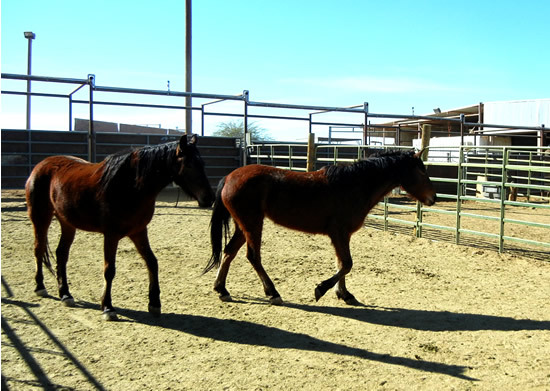 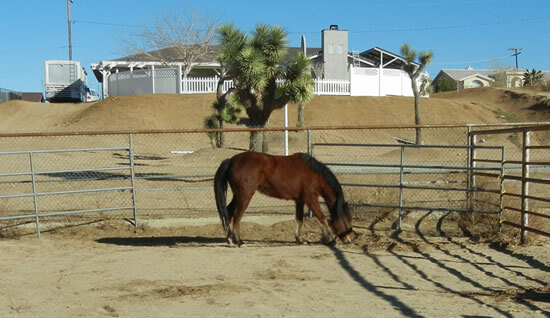 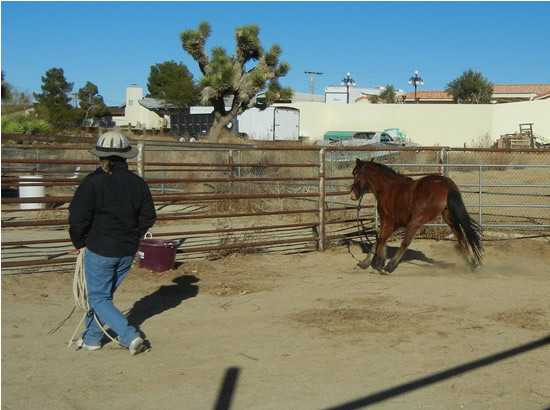 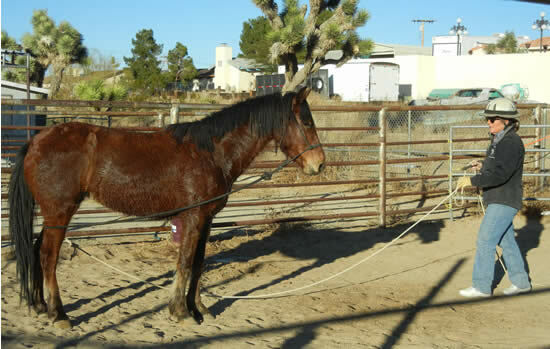 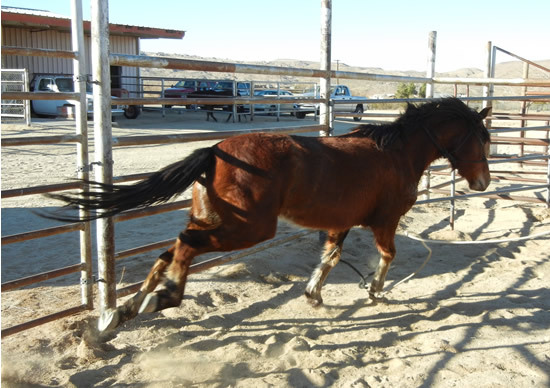 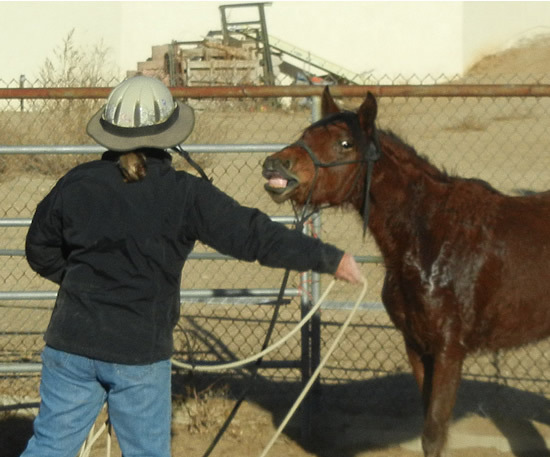 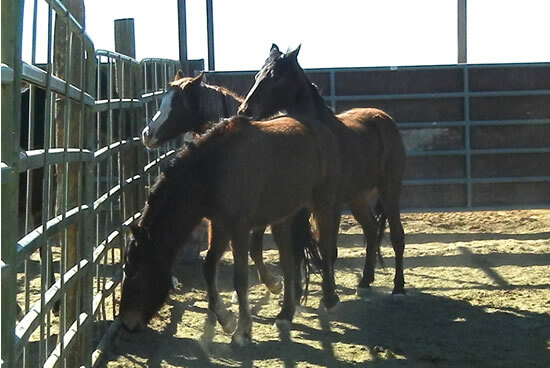 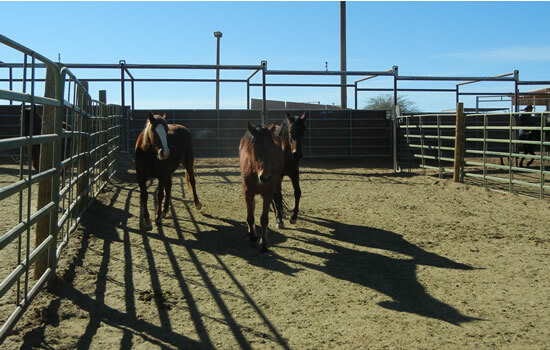 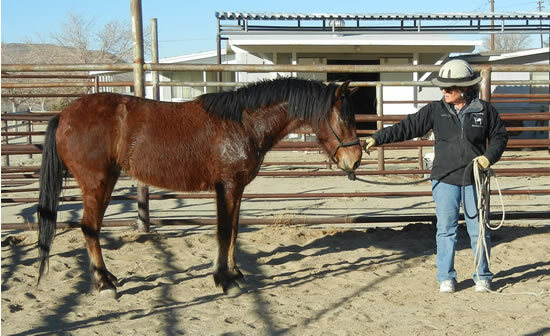 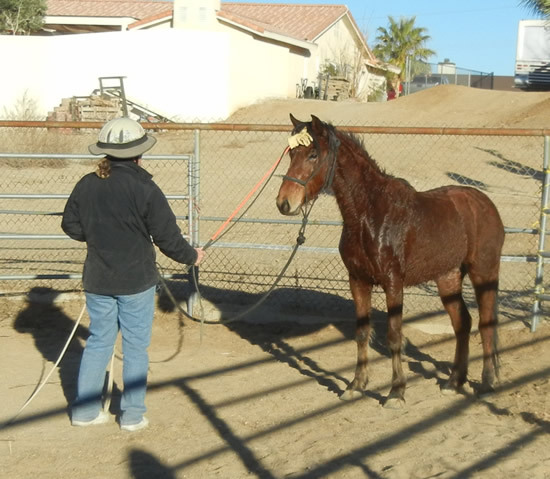 The mare was then sorted from her pen-mates for loading. 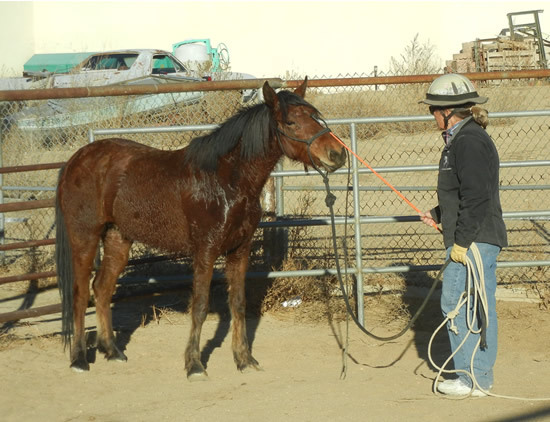 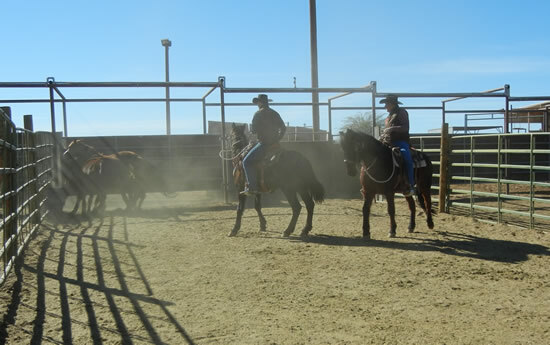 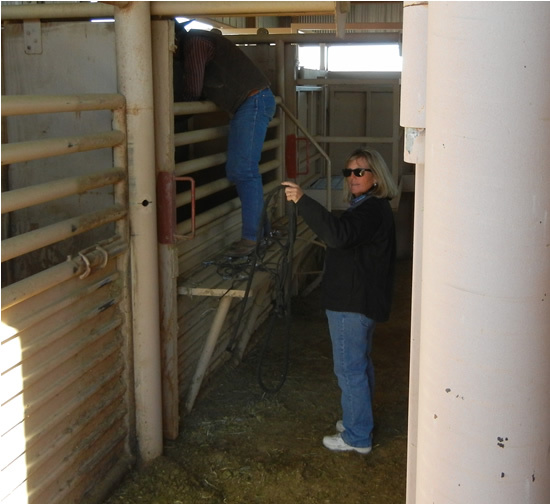 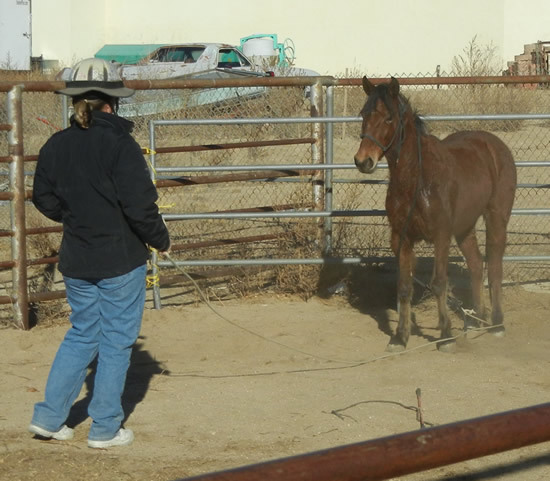 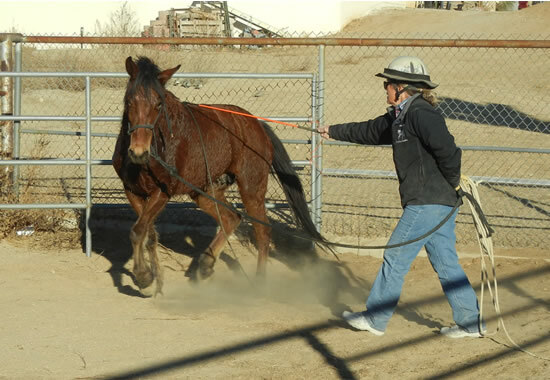 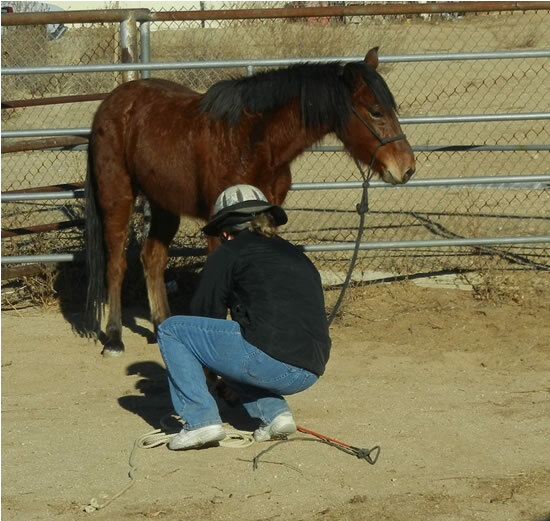 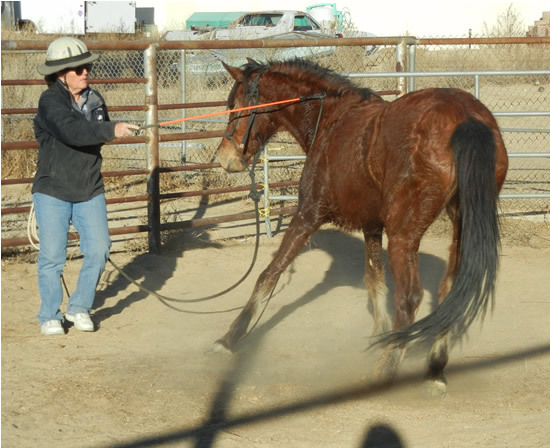 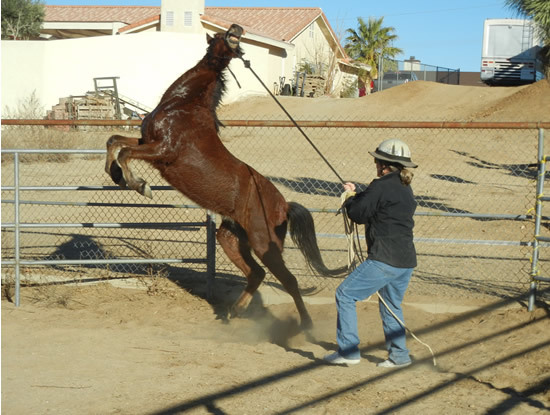 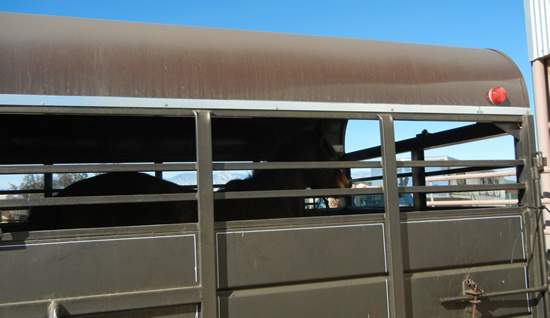 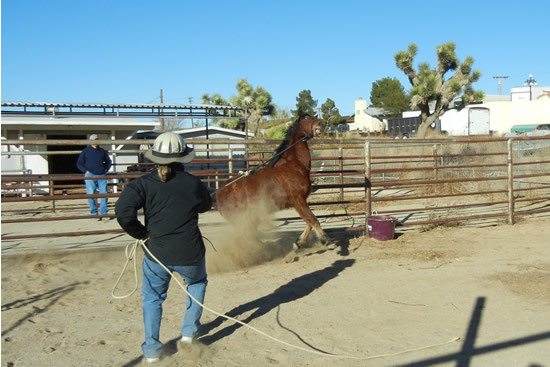 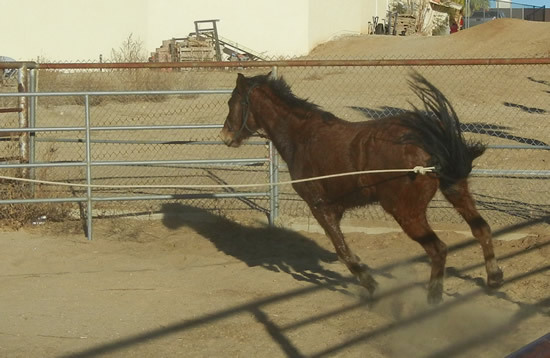 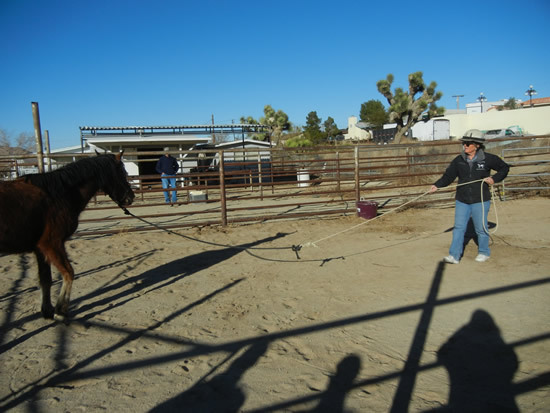 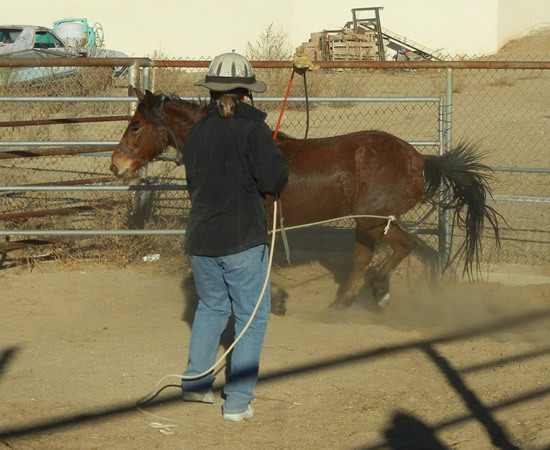 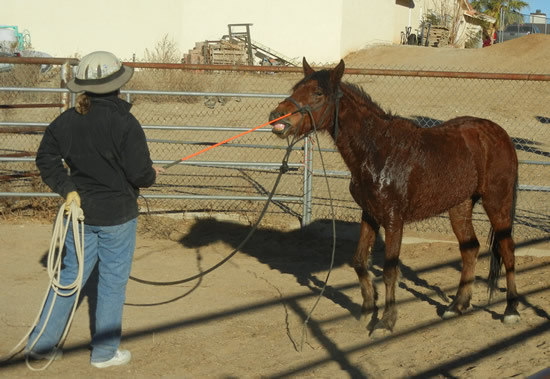 Once sorted and in the loading chute, BLM officials give shots and place the halters on. 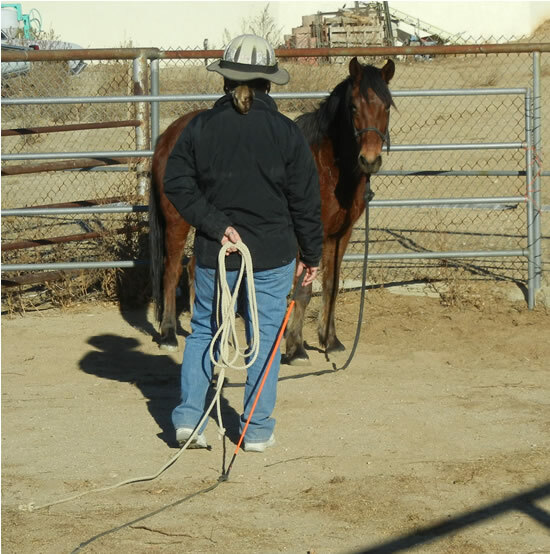 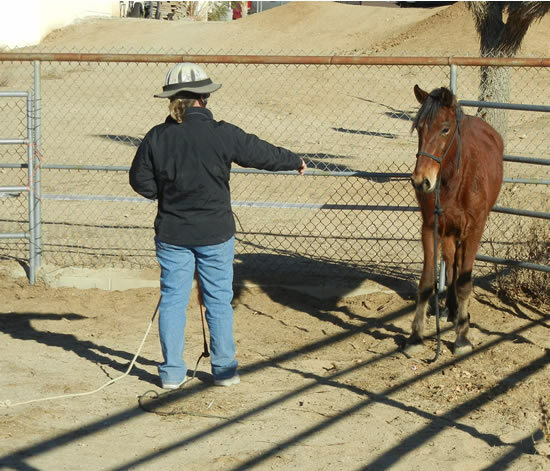 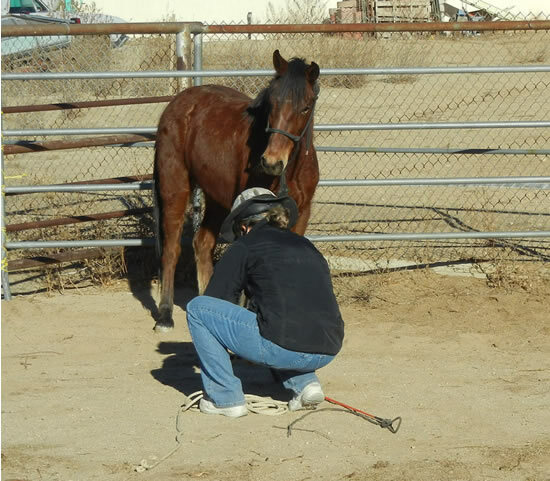 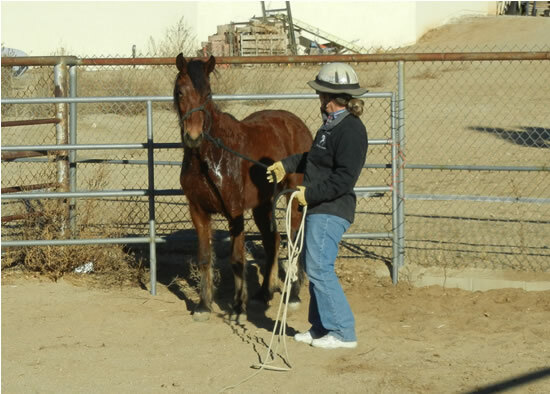 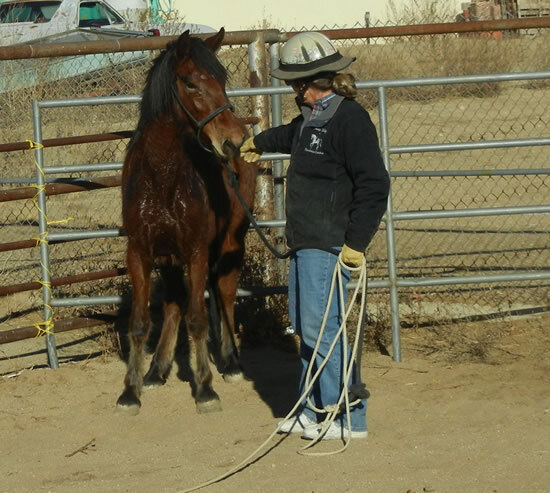 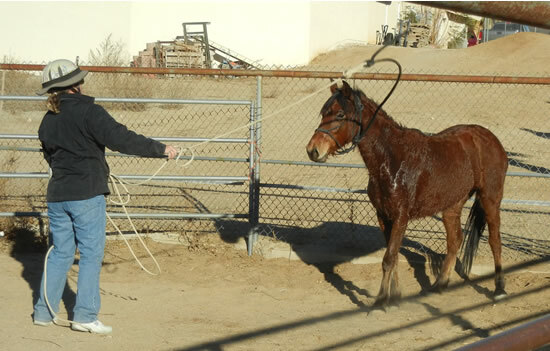 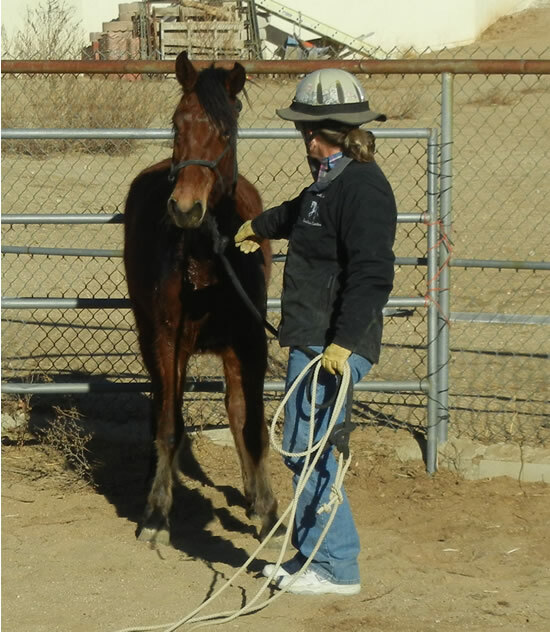 Here Cindy waits for her halter to be placed. 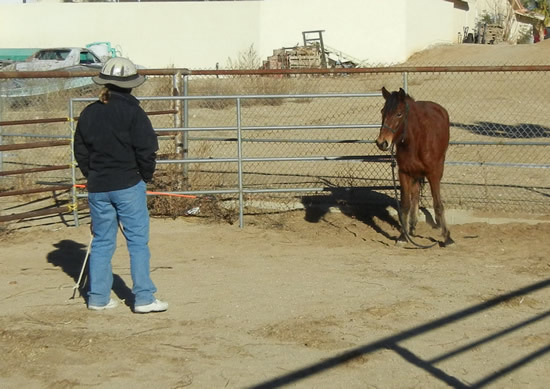 and 3 hours later, "Ziva" gets to explore her new home! 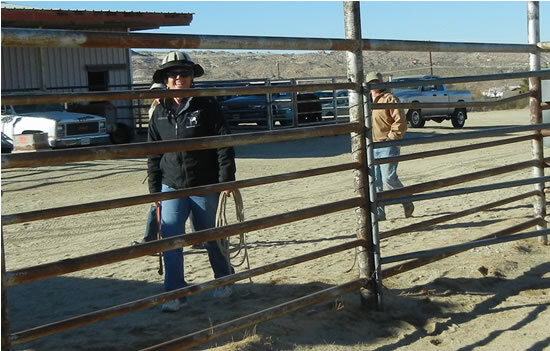 the end of a good first day!